The Supreme Court on Monday set aside an Alabama Supreme Court order denying a lesbian mother visitation rights to her three children. The two women involved in the case – referred to in court documents as V.L. and E.L. – are not married and have since split. While they live in Alabama, in 2007 they set up a temporary home in Georgia thinking that the state would be more accommodating to their adoption request. On September 18, the Alabama Supreme Court issued an order refusing to recognize V.L. 's Georgia adoption order and declaring it void, stripping her of all visitation rights. It was uncertain whether the high court's order would mean that V.L. 's visitation rights would be restored as the case moves forward. Attorneys representing the women offered conflicting interpretations. 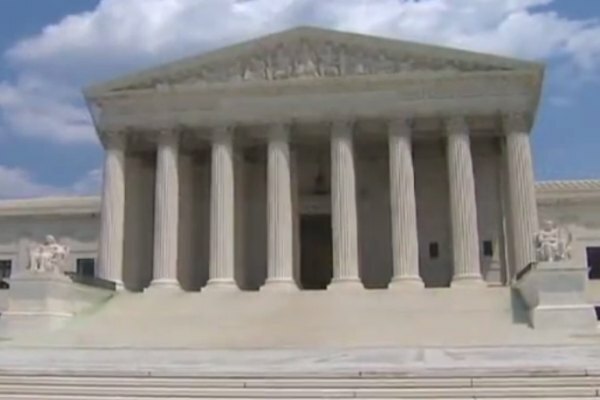 “Today's ruling by the Supreme Court means that our client can resume visitation with her three children,” said National Center for Lesbian Rights (NCLR) Director Shannon Minter, who is representing the adoptive mother. “I adopted my children more than eight years ago to be sure that I could always be there to protect them. This terrible Alabama decision has hurt my family and will hurt so many other families if it is not corrected,” she added.